Manchester City are looking to reach the same stratosphere of Real Madrid and Barcelona. Manchester City are a club on the rise. They have announced a record revenue of £391.8 million and a profit of £20 million in the last fiscal year. They are now financially capable of funding their own success, without having to dip into Sheikh Mansour’s billions. Another huge positive for City is the fact that the millions that they’ve invested in their youth and infrastructure is finally paying dividends. To add to this they have also given their precocious youngsters and current superstars, the opportunity to work with the man who built the greatest team of all time. This feels like a match made in heaven, that will yield a multitude of trophies. Also read: El Cashico: Is this now the biggest rivalry in the Premier League? City have a bench that is stacked with talent. One of City’s greatest strengths in the title race is the depth of their squad. They have many talented players and seasoned internationals, who are waited to be called upon. This not only gives them cover for injury, but it also gives Guardiola a litany of options that can change a game. They usually have the likes of Nolito, Sane, Navas, Gundogan, Iheanacho, Zabaleta and Clichy on the bench, all of whom have performed consistently at a high level. A recent remarkable incident was when Pep decided to start Yaya Toure, out of the blue, and the Ivorian scored both goals in their 2-1 win over Crystal Palace. No other team in the league can afford to keep a two-time champion of Toure’s quality in the reserves. 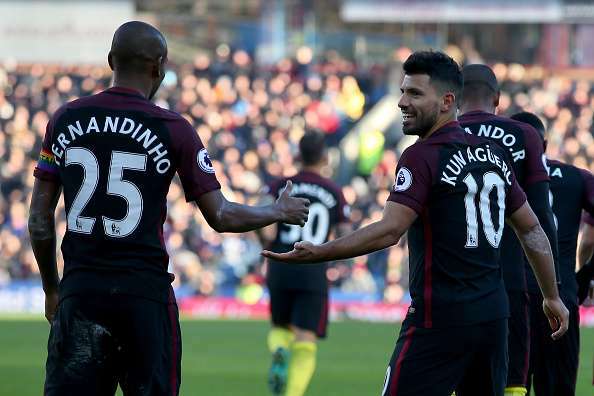 City’s bench strength is going to give them a malleability and endurance that will ensure that they can compete on multiple fronts.